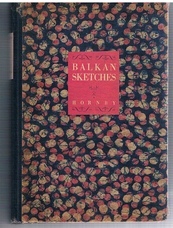 Balkan Sketches: An Artist's Wanderings in the Kingdom of the Serbs (Croats and Slovenes). A very nice bright copy. Clean and tight. 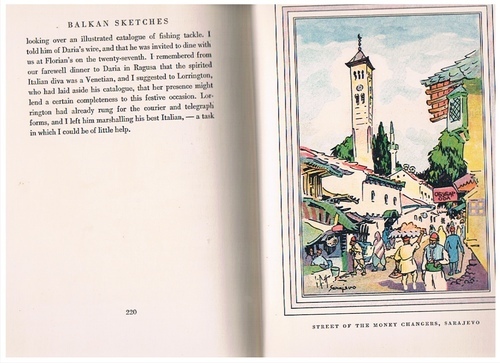 Cloth backed, decorated paper-covered boards, title to paper onlays, decorated endpapers, very many in-text and full page illustrations, some colour. A little light fading to edges. 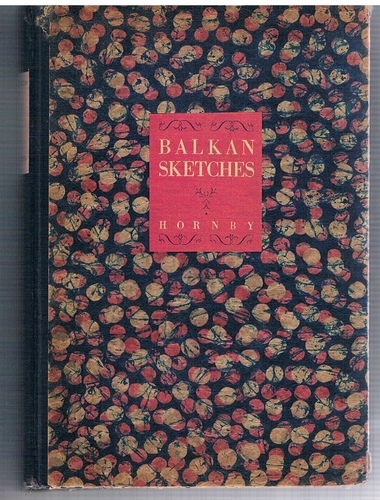 ; Hornby's travels comprised mainly the Dalmatian Coast (Croatia), Mostar and Sarajevo (Bosnia) and the Boka Kotorska (Bocca di Cattaro) in Montenegro. The Kingdom of Serbs, Croats and Slovenes was later to become Yugoslavia. "Lester G. Hornby (1882-1956) is one of the surprising number of early 20th century American artists who achieved great acclaim during their vital years and yet lived to see their works, during the ensuing decades, largely neglected. That condition is now being reversed for many of them. 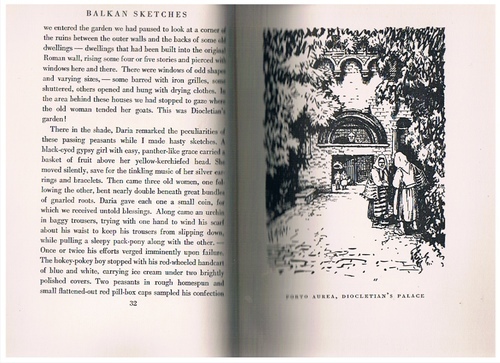 He spent his most productive years in France from 1907 and his WWI etchings are an important component of his works.